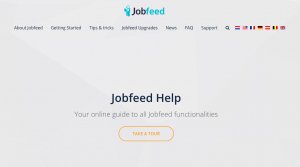 After getting a new look in October 2016, Jobfeed is now launching two new features and an online help guide for all users. You can have a first look at the new features below. While users had to add more organisations as an OR query in the past, the new feature allows users to simply select certain companies with a checkbox and add a label for organisations. 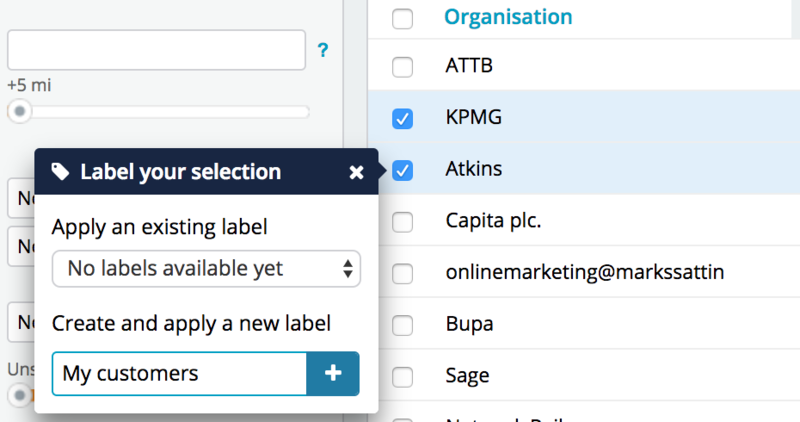 This makes it very easy to create your own labels such as ‘my customers’, ‘my prospects’ and also ‘my competitors’. This feature is especially interesting for staffing and recruitment agencies who want to be the first to know about a new vacancy advertised by one of their customers or prospects. Remark: if you are currently using OR queries and want to switch to labels, simply enter your OR query and go to the organisation tab. Afterwards, you can select all in order to create a new organisation label. Alternatively, you can of course keep your OR queries. Jobfeed is an easy-to-use tool with a user-friendly interface. Nevertheless, sometimes you might have in-depth questions. While training is offered by our team, some users like to read back after a few months and stay up to date. 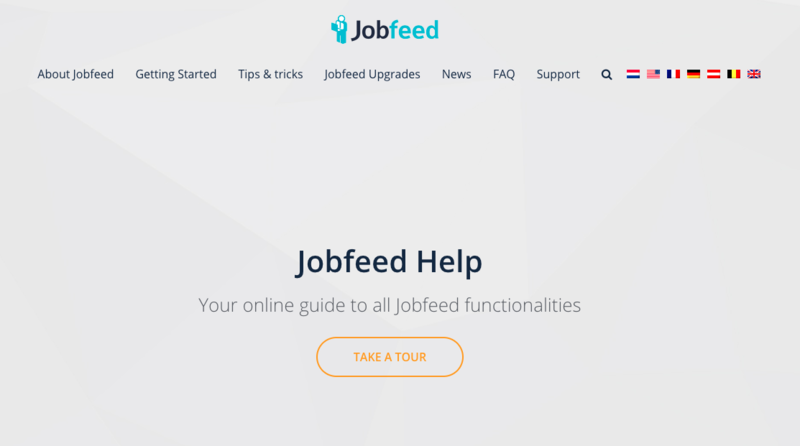 Therefore, we created a Jobfeed help website containing all features, explanations for search fields and many tips and tricks. You can access it via the ‘Help’ button in the top right corner. In order to offer a better user experience it is now possible to search within longer drop-down lists. Users can open a drop-down menu and search for certain values without scrolling through the whole list. If users want to scroll through the list they can use their keyboard and navigate with arrows, enter or escape. If you have any further questions regarding this release, do not hesitate to contact us.